Russian stocks are likely to open higher Tuesday as investors pin their hopes on meetings by the US Federal Reserve and European Central Bank later this week. 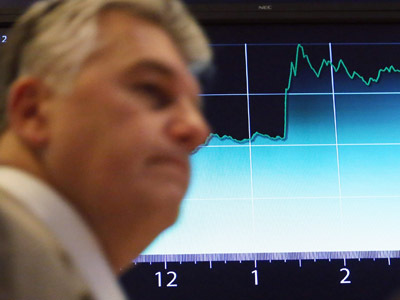 ­On Monday, Russian stocks jumped amid a positive global background and rising oil prices. The MICEX added 1.6% and the RTS was up 1.1%. European stock markets closed in the black on Monday on expectations that EU leaders will take measures to curb the Eurozone debt crisis, including buying Spanish and Italian debt. Yields on 10-year Spanish government bonds fell to 6.58%, while the IBEX 35 jumped 2.8%. The Stoxx Europe 600 rose 1.6%. France’s CAC 40 added 1.2%, and Germany’s DAX climbed 1.3%. U.S. stocks closed Monday with minor declines as investors were reluctant to take major steps before central bank meetings and the release of the monthly jobs report later in the week. 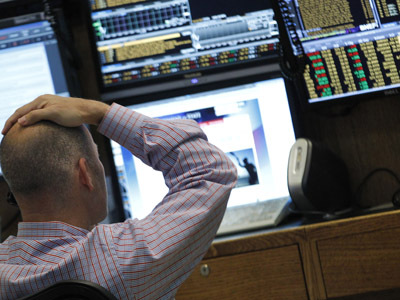 The Dow Jones was down 0.02%, while the S&P 500 shed 0.1% and the Nasdaq declined 0.4%. Asian shares traded higher Tuesday as investors looked ahead to the upcoming meetings of the Fed and the ECB. Positive earnings reports from HSBC Holdings PLC, Hitachi Ltd. and Panasonic Corp. also supported the indices. Japan’s Nikkei rose 0.6%, South Korea’s Kospi jumped 1.8% and Australia’s S&P/ASX 200 climbed 0.8%. In China, Hong Kong’s Hang Seng rose 0.9% while the Shanghai Composite lost 0.1%.